Paul W. Derksen was the Executive Vice President and Chief Financial Officer of Sun Life Financial Inc. until March 2007, where he was also responsible for Sun Life Financial’s Actuarial, Investment and Risk Management functions and for Mergers & Acquisitions and Investor Relations. Prior to joining Sun Life, Mr. Derksen was Executive Vice President and Chief Financial Officer of CT Financial Services Inc. and Canada Trustco Mortgage Company and Chairman of Tuscan Property Ltd, and Executive Vice President and director of Merrill Lynch Canada Inc. Mr. Derksen was the lead director of CI Financial Corporation and has served on the boards of a number of public, private and charitable organizations. Mr. Derksen is a CPA, CA and holds an Honours B.A. in Business Administration from the Ivey School of Business at the University of Western Ontario. Yousry Bissada is the President and Chief Executive Officer of the Corporation (“CEO”). Mr. Bissada also currently serves as an advisor to the Board of Real Matters/Solidifi. Mr. Bissada has more than three decades of experience in financial services and the mortgage industry. Prior to joining the Corporation, Mr. Bissada was President and CEO of Kanetix Ltd., a company with a specialized digital platform providing customers with estimates for insurance and other financial products. 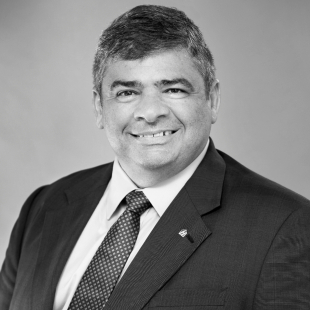 Mr. Bissada has also held various other executive roles with financial services companies, including CEO of Filogix and Senior Vice President, Real Estate Secured Lending Products at TD Canada Trust. Mr. Bissada is a CPA, CGA and an Accredited Mortgage Professional (AMP). Robert J. Blowes served as interim Chief Financial Officer of the Corporation and its subsidiaries between May 11 and August 31, 2017. Mr. Blowes also served as Executive Vice President and Chief Financial Officer of the Corporation and its subsidiaries from 2011 until his retirement from the Corporation in 2014. 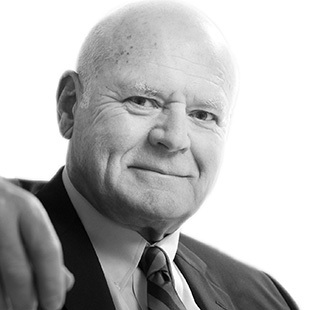 Prior to joining the Corporation, Mr. Blowes was a Partner in the Financial Services Industry Group of Ernst & Young LLP, where he worked for over 25 years serving a client base that included banking and trust companies, life, property and casualty insurance carriers, brokerages and other financial services companies. Mr. Blowes also served leading technology companies and has extensive experience with reporting issuers. Mr. Blowes received his Chartered Accountant designation in 1977 and Certified Public Accountant (Illinois) designation in 2004. In 2013 he was elected a Fellow of the Ontario Institute of Chartered Accountants and CPA Ontario. He is an Institute Certified Director (ICD.D) of the Institute of Corporate Directors. Paul G. Haggis is Chairman of the Alberta Enterprise Corporation, Director of the Bank of Canada, Audit Committee Chair of Advantage Oil and Gas, Director of Sunshine Village Corporation, and Advisory Board member of Balfour Pacific Partners. Mr. Haggis was President and CEO of OMERS from 2003 to 2007. Earlier in his career, he was President and Chief Operating Officer of MetLife’s Canadian operations and President and CEO of ATB Financial. Mr. Haggis has also served as Governance Chair and Special Committee member of Pure Industrial Real Estate Trust (since sold to Blackstone) and Chairman of Canadian Pacific Railway. Alan R. Hibben is the principal of Shakerhill Partners Ltd., a consulting firm that provides strategic and financial advice, specializing in mergers and acquisitions, private equity, financing, corporate strategy, valuation and governance. Mr. Hibben previously served as Managing Director in the Mergers and Acquisitions Group at RBC Capital Markets and as a partner with Blair Franklin Capital Partners. Mr. Hibben has also held the position of Head, Strategy & Development at RBC Financial Group, where he was responsible for corporate strategy as well as merger, acquisition and development activities for the bank and Chief Executive Officer, RBC Capital Partners. In addition, Mr. Hibben has been a director of a number of Canadian public and private companies, currently serving as a director of DHX Media Ltd., Extendicare Inc., Chair of HudBay Minerals Inc, and the Mount Sinai Hospital Foundation. Mr. Hibben has a B.Comm. from the University of Toronto and is a CPA, CA, and CFA. He is also an Institute Certified Director (ICD.D) of the Institute of Corporate Directors. Susan E. Hutchison has over 25 years of experience in commercial and retail banking and digital payment technology. 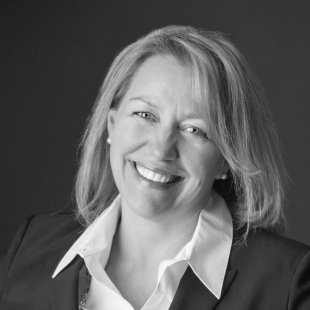 Most recently, Ms. Hutchison was Chief Commercial Officer at Payments Canada and prior to that role, Canada Country Manager and Group Head at Finastra, (formerly D+H). Prior to D+H, Ms Hutchison held Senior Vice President roles at HSBC and Bank of America, including in Retail Banking & Wealth Management, Commercial Banking and Global Transaction Banking. Ms. Hutchison is a recipient of the Top 100: Canada’s Most Powerful Women. Her previous board experience includes Canada Payments Association, (now Payments Canada), BC Women’s Hospital Foundation, and Nature Conservancy of Canada. Ms. Hutchison has. B.Comm. from the University of Guelph, an MBA in Finance and International Business from the Schulich School of Business. She is also an Institute Certified Director (ICD.D) of the Institute of Corporate Directors. Claude R. Lamoureux was President and Chief Executive Officer of the Ontario Teachers’ Pension Plan. Prior to that, Mr. Lamoureux spent 25 years as a senior financial executive with Metropolitan Life in Canada and the U.S., heading the company’s operations in Canada from 1986-1990. Mr. Lamoureux has served on many boards and is currently serving on the boards of Industrial-Alliance, Orbite Technologies, and the Investment Committee of La Fondation Chagnon. Mr. Lamoureux was also a Director at the OSC Investor Education Fund, the Canadian Institute for Advanced Research, the Canadian Institute of Chartered Accountants, the Canadian Investor Protection Fund, and the International Corporate Governance Network. Mr. Lamoureux has also been active on the Toronto Stock Exchange Board as a Member of the Task Force on Corporate Governance. He is a Co-Founder of the Canadian Coalition for Good Governance. Mr. Lamoureux holds a Bachelor of Arts from the Université de Montréal, and a B.Comm. from Laval University. 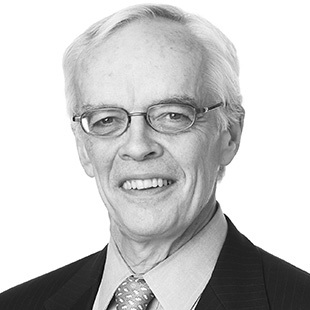 He is a Fellow of the Canadian Institute of Actuaries and the Institute of Corporate Directors; he is also an Officer of the Order of Canada and of the Ordre National du Québec and a member of the Order of Ontario. James H. Lisson was appointed a director of the Corporation on May 17, 2017. 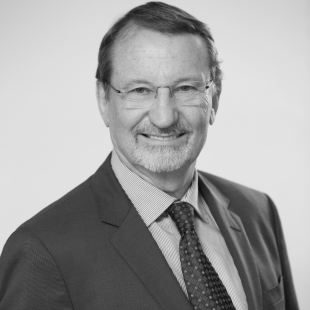 Mr. Lisson has 40 years of legal, advisory, board and executive experience in Canada and England. 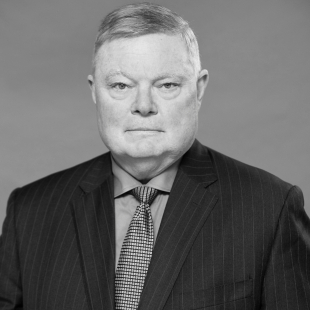 Mr. Lisson practiced corporate law for over 30 years in Canada and England with two of Canada’s leading law firms, Osler, Hoskin and Harcourt LLP and then Fasken Martineau DuMoulin LLP. 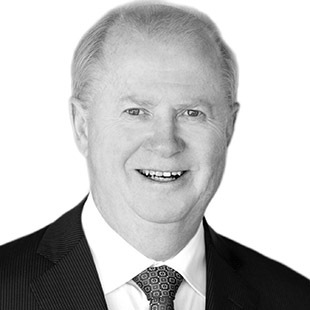 Mr. Lisson has also served seven years as a director, Chairman and then Executive Chairman of Cadillac Fairview Inc. While in England, he was extensively involved in the privatization and financing of BAA plc, the then operator of all airports in the United Kingdom, and with Canary Wharf Group plc, a real estate development company. Mr. Lisson also served on executive interchange with the Federal Department of Finance during which he advised on financial services reform and Canadian bank restructurings. 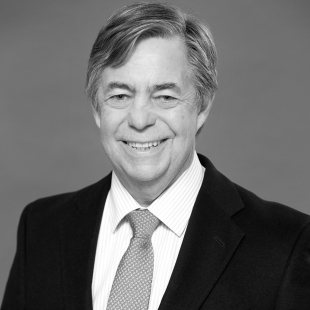 Mr. Lisson is a member of the Law Society of Ontario and the Law Society of England and Wales and a Past Chair of the National Business Law Section of the Canadian Bar Association. Among his other roles, he has served as a member of the NAFTA Financial Services Dispute Resolution Panel. Mr. Lisson holds an LL.M. from Yale University, an LL.B. from Dalhousie University and an Honours B.Comm. from McGill University. He is an Institute Certified Director (ICD.D) of the Institute of Corporate Directors. 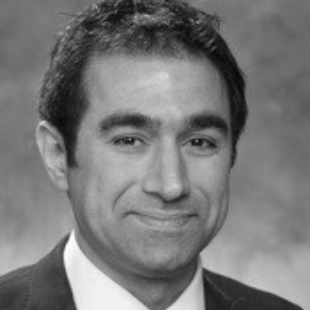 Dr. Hossein Rahnama is Founder and CEO and of Flybits, Inc. and Co-Founder of Ryerson University’s Digital Media Zone. Dr. Rahnama is also a Visiting Professor at the Massachusetts Institute of Technology’s (“MIT”) Media Lab and Associate Professor at Ryerson University’s RTA School of Media. Dr. Rahnama was a federal council member at NSERC (National Science and Engineering Research Council). Dr. Rahnama has also been recognized by the MIT Technology Review as one of the Top Innovators in the world under the age of 35 and as one of Canada’s Top 40 under 40. Dr. Rahnama holds a Ph.D. and M.A.Sc. in Electrical & Computer Engineering from Ryerson University as well as a B.A.Sc. in Computer Science from Ryerson University. Lisa L. Ritchie was Global Chief Marketing Officer for Sun Life Financial. During her tenure, Ms. Ritchie, created and championed the strategic brand direction for Sun Life and its applications in sponsorship and philanthropy. Prior to joining Sun Life, Ms. Ritchie had a global mandate as Senior Vice President, Customer Knowledge and Insights at Scotiabank. She was responsible for identifying, measuring and reporting on customer and external data, and for enhancing customer insights. 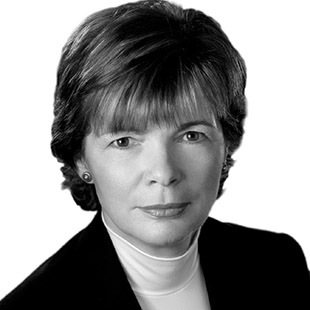 Ms. Ritchie also held leadership positions at CIBC, Decima Research/Hill and Knowlton and TD Bank. She is currently a board member for the Humber River Hospital Foundation and Save a Child’s Heart. Ms. Ritchie previously served as Chair of the Board for The Mabin School. Ms. Ritchie holds a B.A. from the University of Waterloo. She is an Institute Certified Director (ICD.D) of the Institute of Corporate Directors. 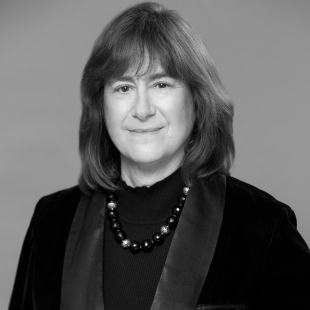 Sharon H. Sallows is a professional director with significant public and private company experience. Ms. Sallows currently serves as a trustee of RioCan Real Estate Investment Trust and chairs its Human Resources and Compensation Committee. She is also a trustee of Chartwell Retirement Residences and a director and chair of the Governance Committee of AIMCo. Previous directorships include Ontario Teachers’ Pension Plan Board, USA REIT LLC, Executive Risk Services, Algoods Inc., Equivest Inc. and Maple Mortgage Trust. Previously, Ms. Sallows was a principal in Ryegate Capital Corporation, a company engaged in the provision of merchant banking and advisory services to institutional and corporate clients. Ms. Sallows is a former Executive Vice President of MICC Properties Inc. and, prior to that, held various positions at the Bank of Montreal, including Senior Vice President, Real Estate, Corporate Banking. Ms. Sallows received a B.A. from Carleton University, a M.Sc. from the London School of Economics, and a Ph.D. from The Wharton School, University of Pennsylvania. She is an Institute Certified Director (ICD.D) of the Institute of Corporate Directors.